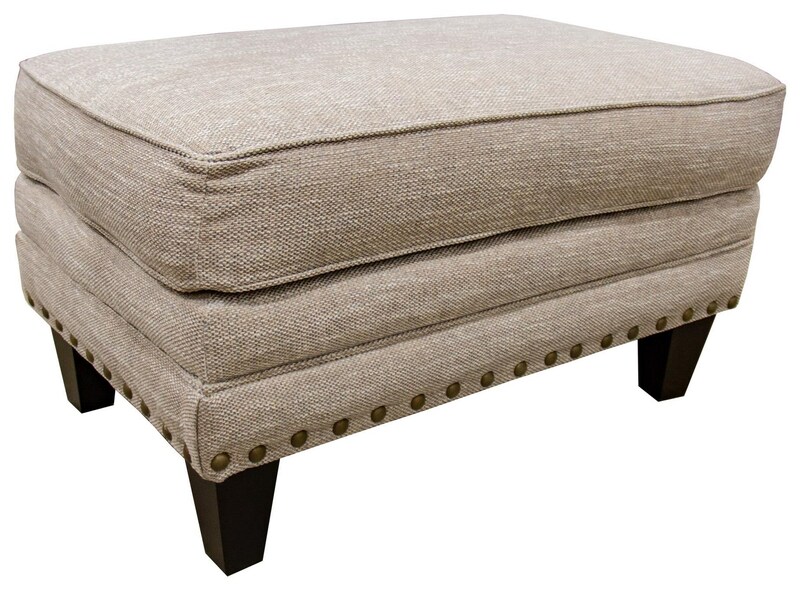 Bring a touch of classic style and contemporary design to your home with this transitional ottoman. Features such as the nail head trim accenting around the base and tapered wood legs update this piece for a modern look at home in every design style. The Longevity Muslin Transitional Ottoman with Nailhead Trim by Fusion Furniture at Great American Home Store in the Memphis, TN, Southaven, MS area. Product availability may vary. Contact us for the most current availability on this product.